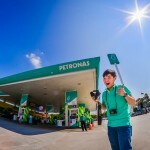 Home » Advertorial » Petronas Latest Commercial ~ The Ride! 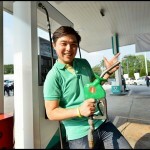 Petronas Latest Commercial ~ The Ride! 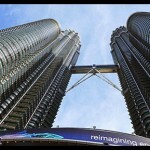 Do you know that it’s a PETRONAS commercial? It’s now finally revealed! Petronas released their latest commercial in collaboration with Mercedes-AMG featuring a 2.0-litre four-cylinder turbo-powered AMG fuelled by Petronas Syntium 7000. There’s a janitor while carrying out his cleaning duty at a MERCEDES AMG-PETRONAS lab, his attention was drawn to a sleek new AMG machine and the lubricant powering it. He’s curious of the machine and wanted to max out the performance of PETRONAS SYNTIUM 7000 as it’s produced by so many professionals running day in and day out researches. He sneaked in the AMG 2.0-litre four-cylinder turbo-powered car out for a ride to satisfy his curiosity. 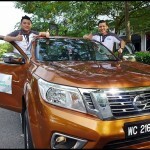 It was indeed an awesome driving experience with the peak top notch performance. He’s shaken with the driving experience that he experienced with the AMG machine powered by PETRONAS SYNTIUM 7000. It’s an experience that word could not describe. The main focus is that the alien in him can’t handle the intensity too and do not want to lose out, he quickly gets beamed back to the mothership, grabbing a bottle of PETRONAS SYNTIUM with him. Maybe he wanted to reproduce the same lubricant for his planet and share with the rest of the aliens?